Water can find its way into your home through even the smallest of openings. Unfortunately, many homeowners don't know they have a problem until a water spot appears on the ceiling, or they discover a trickle of water in the attic. If you are unfamiliar with the signs of water damage, you may accidentally overlook a problem area. When overlooked, this can lead to damaged possessions and the need for more costly repairs in the future. Your roof is the first and best line of defense against water damage. A roof cannot continue to provide the protection you and your family need without regular care and maintenance. As temperatures rise and fall, your roof experiences expansion and contraction that alters its integrity. That integrity is further threatened by the gusting winds and driving rains of thunderstorms that are prevalent in Tennessee. 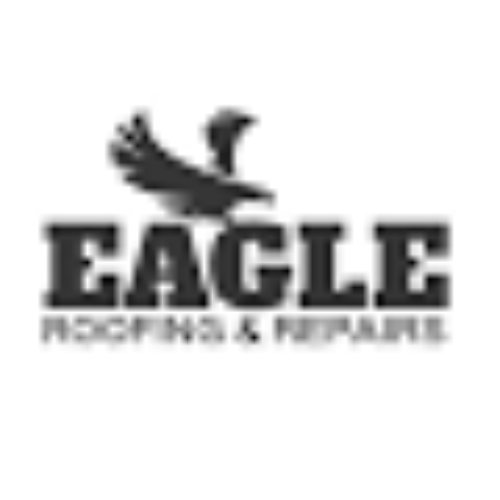 With the Eagle Club from Eagle Roofing & Repairs you can protect your home and family from the threat of a compromised roofing system. Every year, we'll climb up on your roof and into your attic to help ensure that your roof is providing you with the maximum protection for your home. Plus, we'll take Eagle-eye-view photos so you can see for yourself! The true strength of your roof cant be seen from the street. We'll look at things from inside to ensure your roof is in working order, and we'll inspect the 21 most critical components of your roof. We will get up on your roof with a high grade sealant and cover any exposed nail heads. Sticks and large debris on your roof are unsightly and destructive. Dont climb up there and put yourself at risk! We'll do it for you. 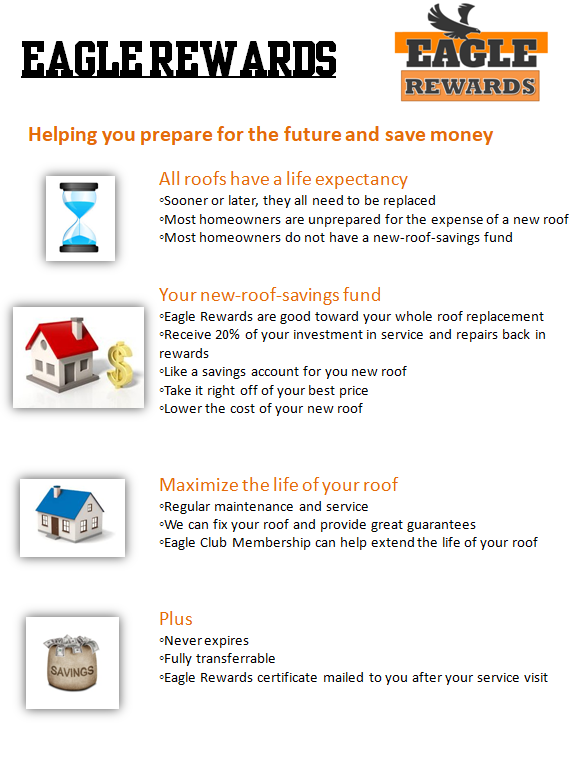 Life Time Guarantee of Repair as long as you are an Eagle club member. Front of the line appointment-When you need help, as part of the Eagle Club you will move to the front of the line and we will be there within 24 hours of the call. If you are interested in joining the Eagle Club, please call 865-248-8020 or complete our online request form.